ORACLE OPENWORLD – SUITECONNECT—SAN FRANCISCO, Calif.—October 4, 2017—Oracle NetSuite, one of the world’s leading providers of cloud-based financials / ERP, HR, Professional Services Automation (PSA) and omnichannel commerce software suites, today announced that Moss Adams LLP, one of the largest accounting, consulting and wealth management firms in the U.S., has joined the NetSuite Solution Provider Program to address rising demand for cloud business management solutions. The move is the result of Moss Adams’ existing alliance with NetSuite offering accounting services as a member of the NetSuite Business Process Outsourcing (BPO) Program since 2015. Moss Adams will now be able to offer a best-in-class solution to clients of any size, from pre-revenue start up to well-established midmarket firms. In addition, by leveraging NetSuite and its deep industry knowledge Moss Adams will also be able to provide enhanced insights to clients in a wide variety of areas such as IPO readiness and process optimization. Founded in 1913 and headquartered in Seattle, Moss Adams has approximately 2,600 employees across 29 locations, with an annual revenue of approximately $ 600 million. After a comprehensive evaluation of other cloud software in the marketplace, Moss Adams determined that NetSuite was the optimal solution to offer to most clients, based on its own success with the BPO program and feedback from the marketplace. As a NetSuite solution provider, Moss Adams will provide market development, consulting and implementation services for NetSuite financials/ERP, CRM, ecommerce, HR and PSA across high technology, biotech, apparel, and beverage industries. The company will deploy its experienced technology development resources to build these industry-specific versions of the solution using NetSuite’s SuiteCloud development platform. Launched in 2002, the NetSuite Solution Provider Program is the industry’s leading cloud channel partner program. Since its inception, NetSuite has been a leader in partner success, breaking new ground in building and executing on the leading model to make the channel successful with NetSuite. A top choice for partners who are building new cloud ERP practices or for those expanding their existing practice to meet the demand for cloud ERP, NetSuite has enabled partners to transform their business model to fully capitalize on the revenue growth opportunity of the cloud. The NetSuite Solution Provider Program delivers unprecedented benefits that include highly attractive margins and range from business planning, sales, marketing and professional services enablement, to training and education. For more information about the NetSuite Solution Provider Program, please visit www.netsuite.com/partners. When the leaders of Sourcingpartner Inc. decided it was time to trade in a largely manual warehouse management process riddled with bottlenecks for a modern, cloud-based alternative, they knew their choice of a cloud provider was critical. As a key distributor to some of the largest office supply businesses in the world, for Sourcingpartner, operations during the back-to-school season must be flawless. NetSuite, with its SuiteSuccess rapid-deployment model taking companies from zero to cloud in 100 days, turned out to be the partner it was looking for. And it wasn’t just that NetSuite delivered the solution on time; it also made the potentially nerve-wracking experience of migrating to the cloud more manageable by sharing leading practices and a wealth of experience in wholesale distribution deployments throughout. “There was never a day that went by where we didn’t have guidance,” DiPasqule said. There is a huge difference between a cloud provider that does little more than provide logins and developer tools, and one that works closely with companies to ease the often-harrowing process of adopting a new technology platform. And when you’re a complex and fast-growing wholesale distributor, and you’re taking your first steps into the cloud, having the right provider is critical to avoiding potential interruptions to your business. It also figures to become a competitive necessity. IDC predicts that half of all manufacturers will be leveraging the cloud, mobile computing and advanced analytics to facilitate innovation on the shop floor. What’s more, IDC expects 75 percent of manufacturers to undergo digital transformations by the end of 2018. That means a lot of competitors matching up with technology partners to get much smarter. The right cloud provider can address that competitive pressure by helping a company establish the right foundation for its technology, whether that means digitizing existing business processes or enabling the business to pivot on a dime if needed. The latter is exactly what Action Health, a maker of healthcare packaging products was trying to do when it turned to NetSuite. The company, which was known as Action Bag at the time, had made the difficult decision to sell its retail gift supplies business to focus on the faster-growing healthcare market. And while it was looking for a cloud platform that would help it to differentiate itself, it also wanted a partner that would help to smooth that transition. By the time NetSuite Services had finished assisting Action Health with the deployment, and the system started churning out previously inaccessible information, it was clear that Action Health had an environment that would enable it to make more — and better — use of data than it ever had. “NetSuite was the change agent throughout the whole process, and really set who we are today and how we operate as a company,” said Sean Cwynar, president of the company, which his grandmother founded. Stories like these illustrate how a good provider-customer match can make business look easy, but finding the right provider is anything but. In fact, it’s one of the more difficult parts of a company’s initial foray into the cloud. For that reason, companies looking to follow in Sourcingpartner’s and Action Health’s footsteps should ask themselves some important questions before evaluating potential provider. These can range from basic considerations such as ‘Where should I start?’ to more company-specific concerns such as ‘Where’s my demand coming from?’ and ‘How am I going to facilitate that demand?’ The point is simply to establish a strategy for entering the cloud that ties back to your specific business needs. This is not to suggest that a company has to have everything about its cloud journey mapped out before picking a provider; in fact, the eventual provider should be relied upon to help flesh out that strategy. Stairway to Heaven – How is your Business Partner helping you Evolve? This is precisely the approach NetSuite takes. Rather than see ourselves as a mere vendor, we prefer to have customers think of us as more of an advisor. We have established what we call a “stairway to heaven” for every industry we serve. Think of it as a thought process, or a strategy, for how to execute. In many ways, it’s also an exercise in aligning the partner with its customers’ goals. Customers come away from the process with a grasp of how our technology works with their processes, the knowledge that we understand their specific business and industry, and confidence that they’ve chosen the right cloud provider. Eventually, the goal is for the cloud provider and customer to form a lasting partnership that’s built on a common goal: Ensuring the customer’s success. This year gave us Microsoft Dynamics 365, Microsoft’s latest advancement in innovative business solutions. It combines what we currently know as Dynamics CRM and Dynamics AX with a cloud-based system to streamline data management and integration with Office 365. “Cloud-based system you say?” Here’s Cecilie, our Director of CSP (Cloud Solution Provider), to tell you more! Let’s face it. Nobody likes navigating multiple contracts, companies, partners, and payments and it can be frustrating when you don’t know who to contact for support. 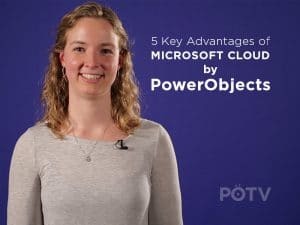 Instead of having all of your information scattered in different places with different people, consolidate all your needs with PowerObjects as your Cloud Solution Provider (CSP). Eliminate all the hassle with a solution that bundles your CRM licenses, solution, support, education, and more—all with the #1 Microsoft Dynamics 365 Partner in the world. No matter where you are in your CRM journey – whether you have bought your licenses or are looking to buy them, with Microsoft Cloud by PowerObjects you will get more out of your investment. The hand held devices available today combined with cloud software are breaking down the walls around all kinds of services—which can be delivered just as well in the field as they can in the office. Responding to the growing percentage of elderly patients in their practice, a regional healthcare provider started a home-visit nursing program. While in the patient’s home, the nurses would provide limited services, like flu shots, and measure vital signs. Using tablets to record data at the patient’s home, nurses are connected to Microsoft Dynamics CRM Online. Historic data for each patient is tracked so the nurse can monitor trends. Through integration with Skype for Business, nurses can confer with doctors in real time, sharing video when needed. Since all notes and data are entered in the patients’ homes, nurses don’t have to spend time in the office and can visit more people each day. The home-visit nursing program allows elderly patients to avoid contact with sick people in the doctor’s office and receive the regular medical care that allows them live in their own homes longer. Download the full eBook www.crmsoftwareblog.com/amazing to find out 16 more amazing customer experiences businesses are delivering today with Microsoft Dynamics CRM Online. 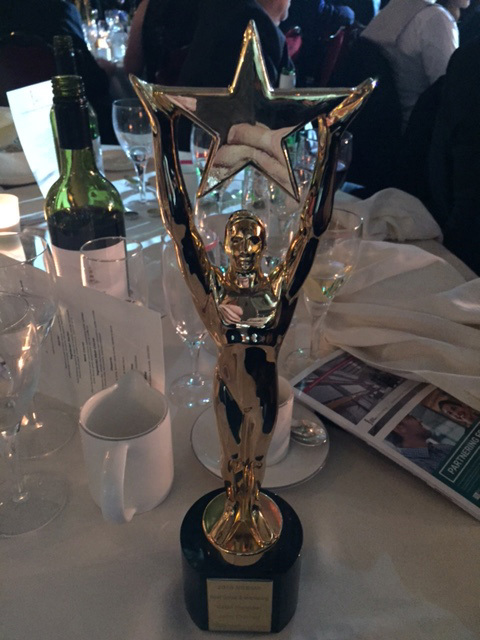 Reading, England, (14th March 2016) – Workbooks.com are delighted to announce they have won Best Sales & Marketing CRM Provider 2016 in the British Excellence in Sales & Marketing Awards (BESMA). BESMA is organised by the Institute of Sales & Marketing Management (ISMM) – the UK’s largest professional sales body. BESMA is organised by the Institute of Sales & Marketing Management (ISMM) – the UK’s largest professional sales body. This year BESMA was held on 9th March 2016 at the stunning Grosvenor House Hotel. For more information visit www.ismm.co.uk/besma-2016. Reading, England (17h November 2015) – SelectHub (formed in 2013) created by Venkat Devraj provides a platform for buyers and vendors to rapidly evaluate software. ‘We continue to be confident that we provide our customers with the highest level of service and support. We feel this has been reflected in our recent inclusion in SelectHub’s top CRM list’ writes Sam Jefferies (Digital Marketing Executive at Workbooks.com). Continuing with ‘We hope to continue to work together to serve both our audiences as successfully as possible’. With integration capabilities that include MailChimp, Constant Contact and Adobe, the Workbooks system provides a roadmap for continued growth of small and mid-size businesses’ writes Sam Radbil (SelectHub). Reading, England, (18th November 2015) – Workbooks.com has been announced as a finalist for the Best Sales & Marketing CRM Provider 2016 in the British Excellence in Sales & Marketing Awards (BESMA). BESMA is organised by the Institute of Sales & Marketing Management (ISMM) – the UK’s largest professional sales body. John Cheney, CEO of Workbooks.com commented: “Effective CRM is key for any business and a system to effectively co-ordinate both sales and marketing is crucial. We are very pleased to have been announced as a finalist for The Best Sales & Marketing CRM provider. Awards like BESMA secure our belief that we are delivering solutions that our customers really need. We look forward to the awards ceremony on 9th March 2016”. This year BESMA will be held on 9th March 2016 at the stunning Grosvenor House Hotel. For more information visit www.ismm.co.uk/besma-2016.